Dr Mital graduated from the University of Manchester in 2002 BDS. He was awarded the first prize in the Charing Cross vocational training scheme end of year presentation. He has since worked in general practice and has focused his post graduate studies, training and knowledge on Minimally Invasive Dentistry with an emphasis on cosmetically driven treatments and orthodontics. His vision is simple: to make the path to a healthy white smile easily available to all his patients. 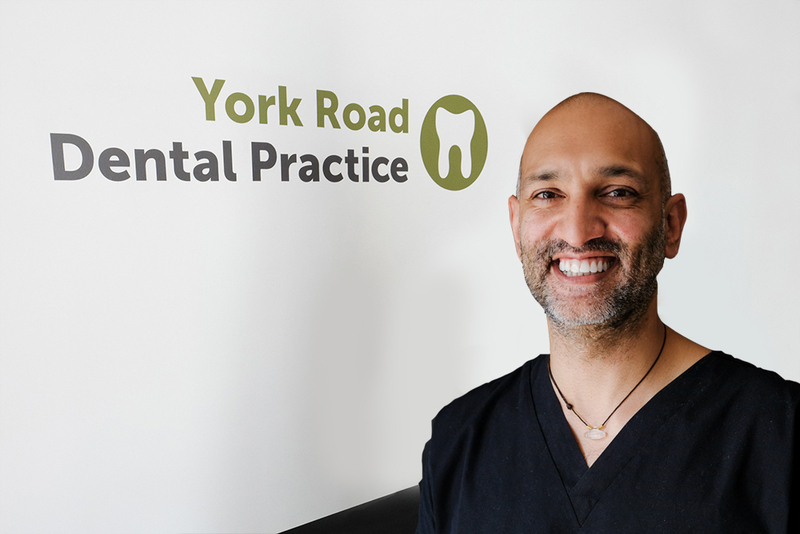 Dr Patel took over York Road Dental practice in 2016. He has a reputation of a larger than life personality, a constant smile on his face and an enduring manner of offering simple and clear explanations to patients after carefully listening to their needs and concerns. He likes to maintain a casual, friendly and compassionate environment to ensure his patients are at ease, whilst at all times delivering a professional and thorough treatment plan. Robert graduated from Newcastle University in 2009 and has extensive experience working in private practice. Robert has a passion for dentistry and providing the highest standards of care for his patients. In order to do that he has participated in substantial post-graduate study, including his fellowship with the Royal College of Surgeons of England, a Sedation Certificate from the Eastman Dental Institute in London and working towards his implant diploma with the Royal College of Surgeons of England. 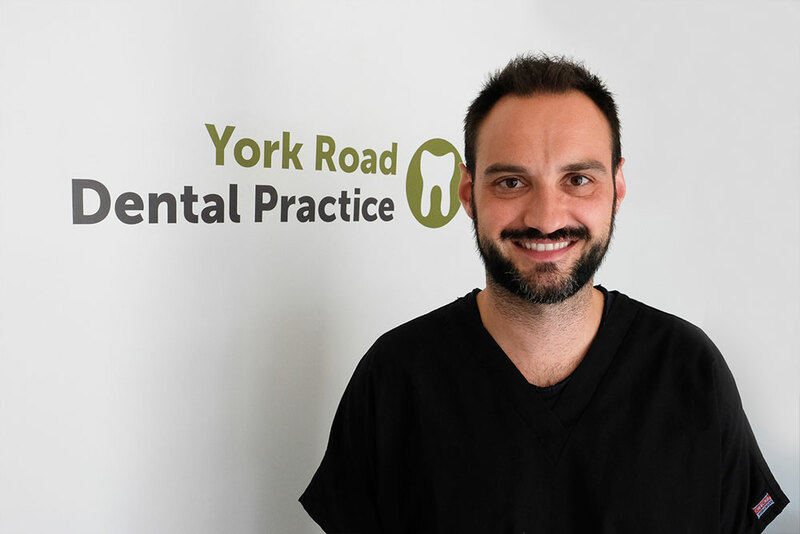 Through his sedation postgraduate education Robert has developed a real forte for providing superb dentistry in an environment which any member of the family will feel calm and relaxed, taking all the angst which previously existed alongside dentistry away. In his spare time Robert enjoys combining his love of running with charity work and fundraising for amongst others Diabetes UK, BEAT Eating Disorder Charity and Helping Hands Health Education. Anna qualified from the University of Leeds Dental Institute in 2012 and went on to complete her vocational training in London at the UCL Eastman Dental Institute, one of the leading academic centres for dentistry. She has since achieved the Diploma of Membership of the Faculty of Dental Surgery (2016). She has a particular interest in minimally invasive cosmetic dentistry and enjoys helping her patients achieve a functional, healthy and beautiful smile. Her further training within cosmetic restorative dentistry and invisible braces (Invisalign) has kept her up to date with the latest techniques. Anna believes her artistic flare has led her to take such an interest in this aspect of dentistry. Anna understands the fear associated with attending the dentist and enjoys taking the time to help her patients alleviate their anxieties. Outside of work Anna plays the piano and is a keen traveller. She has combined this interest with charity projects in the past, including giving the less fortunate children of Cambodia much needed dental treatment via mobile dental units in remote areas. She is looking forward to using her skills within dentistry to contribute to more charity work in the future. Natalie is our Dental Hygienist, having graduated from Eastman Dental Hospital with a diploma in Dental Hygiene. With experience working alongside various departments in the hospital, She is trained to maintain implants and support orthodontic patients. 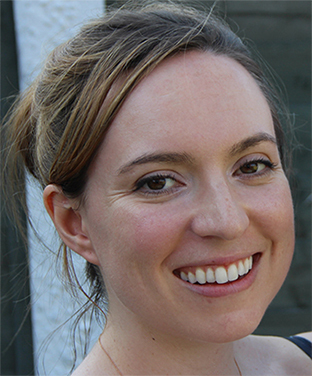 Natalie brings dedication and quality care to her role; she’s passionate about educating her patients to prevent gum disease, decay and other dental problems, and specialises in helping nervous patients. Natalie is also trained in home and zoom whitening, and can advise patients on the best treatment plan for each individual. Natalie lives in Islington, and in her spare time she enjoys baking, socialising with friends and gardening. 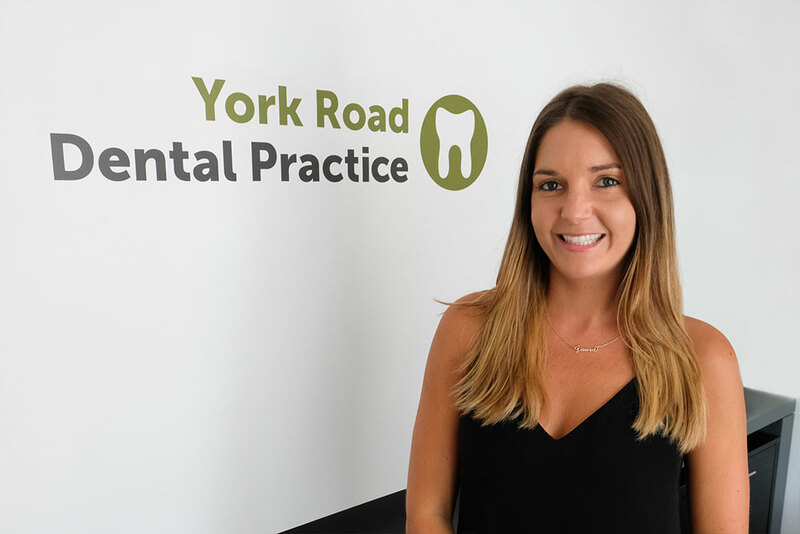 Laura starting working at York Road Dental in March 2015, firstly as a receptionist and quickly becoming the practice manager. She has gained an Honours Degree in Business from Limerick Institute of Technology in 2009, and utilizes this to ensure the smooth running of the practice. She is the first person a patient will meet at the clinic and strives to make them feel welcome and at ease. 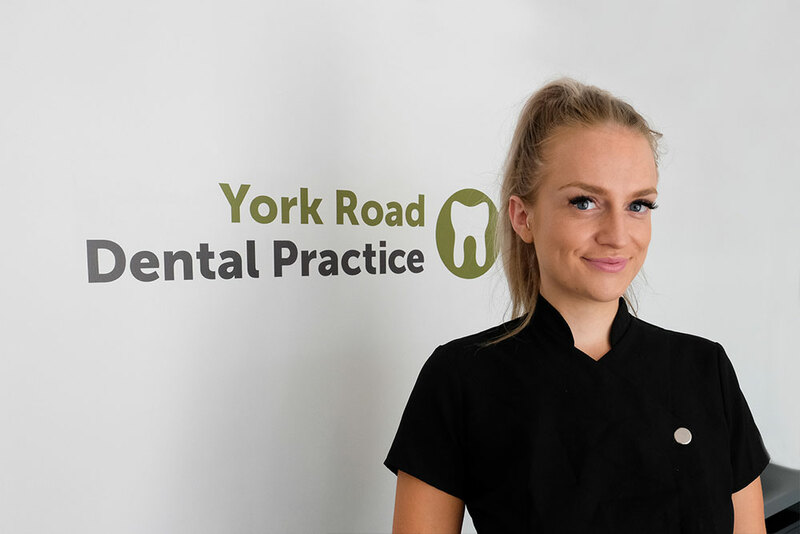 Laura has gained a wealth of knowledge whilst working at the practice and is extremely passionate about what she does and loves seeing the positive outcomes a new smile can have on a patient. Coming from Ireland, Laura loves nothing more than a few sociable drinks outside of work. She also has a keen interest in GAA Sports and travelling. Iulia is a qualified dental care professional and GDC registered in the UK. 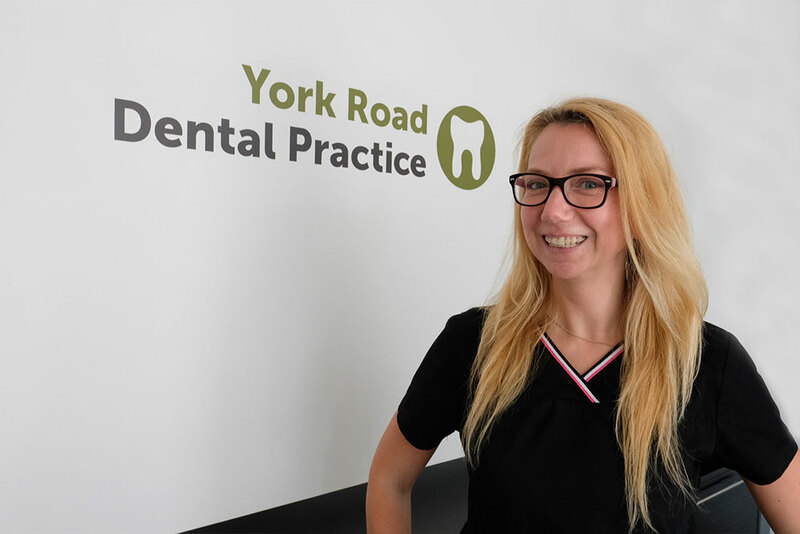 She joined York Road Dental Practice in July 2017. She works closely alongside our dentists on every individual case and enjoys learning about the exciting world of modern private dentistry. She loves her work and always looks forward to increasing her dental knowledge. Outside of work, Iulia has a clean and healthy life style, home-made food and travelling. Jenny is keen to promote a 'prevention is better than cure' philosophy. She aims to educate and motivate all patients to maintain good oral hygiene practice at home, reducing the need for treatment and aiding in the prevention of periodontal disease. 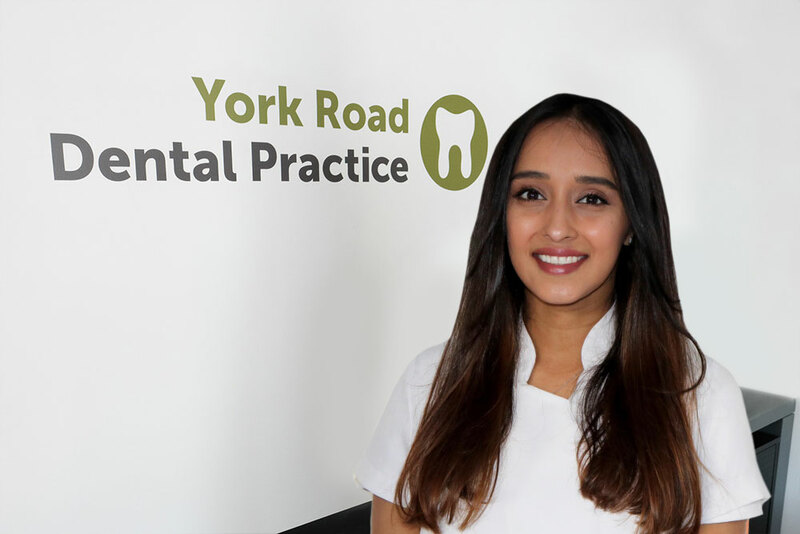 She works closely alongside our dentists on every individual case and has additional skills in air polishing and offers tooth whitening, including Zoom whitening to all of her patients in-surgery. You may also see Jenny for OPG or CT scanning. Her expertise lies in the treatment of periodontal disease, for which she has taken advanced courses in scaling techniques, as well as a periodontal course run by the president of the British Society of Periodontology, Phil Ower . Each of Jenny's treatments is tailored to the individual. It is important to her to create a calm and friendly environment, which is reinforced by her knowledge of Neuro Linguistic Programming, in which she holds a Diploma. Jenny lives in Surrey and in her spare time she loves to spend her time looking after her son and catching up with family and friends.